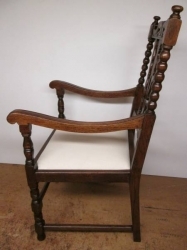 Superb quality solid oak armchair, constructed approximately c1930. 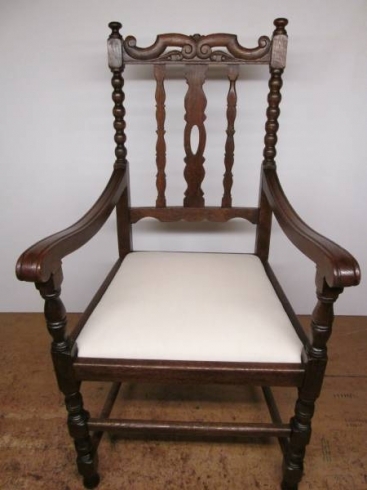 Newly French polished and traditional re-upholstery to calico state. Dimensions - height 110 cms, width 59 cms, depth 60 cms.